Councils should avoid unnecessary delays when creating special educational needs support plans for children. That’s the warning from the Local Government and Social Care Ombudsman. It follows an investigation into a complaint about Cornwall Council. The report comes just months after the Ombudsman revealed it was upholding eight in 10 complaints it investigates about Education, Health and Care (EHC) plans. In this particular case, a mother complained the council took too long to produce and amend an EHC plan. The mother needed the plan for her son when he transferred from primary to mainstream secondary school. The delay resulted in the boy’s mother homeschooling her son, as the school had not put in place the support he needed. The Ombudsman’s investigation found fault with the council for the way it carried out the transfer of the boy’s Statement of Special Educational Needs to an EHC plan. The investigation also criticised the ‘significant delay’ that occurred when completing the annual review of the boy’s plan. It also pointed to the council’s severe delay in issuing the final amended EHC plan. 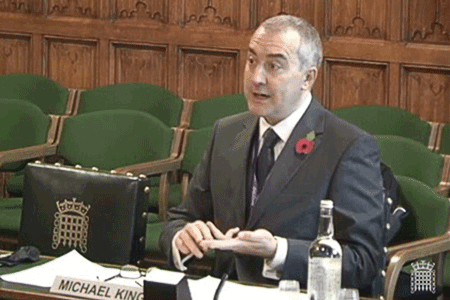 Michael King is the Local Government and Social Care Ombudsman. He said: “Significant delay was one of the key issues in last year’s focus report and this is a prime example of the effect this can have on families when lengthy delays occur. “Transfers from Statements to EHC plans must be carried out in a timely manner, and in line with Statutory Guidance. Councils should adhere to statutory timeframes for EHC plan processes. The delays completing the annual review and amending the EHC plan left the mother in a state of limbo for many months. It also postponed her appeal right to tribunal. The Local Government and Social Care Ombudsman’s role is to remedy injustice and share learning from investigations. The aim is to help improve public and adult social care services. In this case, the council agreed to apologise to the mother and pay her £1,000. Its payment was to acknowledge the distress and frustration it caused by its severe delay in completing the Annual Review and amending an EHC plan. The Ombudsman has the power to make recommendations to improve a council’s processes for the wider public. In this case the council agreed to review how it audits compliance with timeframes for EHC plan processes. It also said it would ensure it took appropriate action on casework where it was significantly overrunning statutory timeframes.